Target moves to smart cards to fight fraud, but will consumers chafe? Early next year, Target plans to replace its credit and debit cards with some 20 million so-called smart cards. The new cards will include not just computer chips but also personal identification numbers intended to fight fraud. The technology can lower a retailer's costs and liability for fraudulent transactions. Target initially wouldn't say whether it would require customers to use PINs, but late Tuesday afternoon the company said it would require use of PINs. David Robertson, who publishes the Nilson Report, which tracks the payment card industry, says some consumers may not like the PIN requirement. "The average person has three or four credit cards they could use and they might say, 'Well, the heck with you. I don't want to use a PIN," he said. "I like my behavior now. I don't want to try something new. I don't want to try to remember a PIN." Critics of PINs say people have trouble remembering security codes or use the same one on all their cards. Target's smart card push is part of an effort to recover from a massive theft last year of customer payment card and personal information. 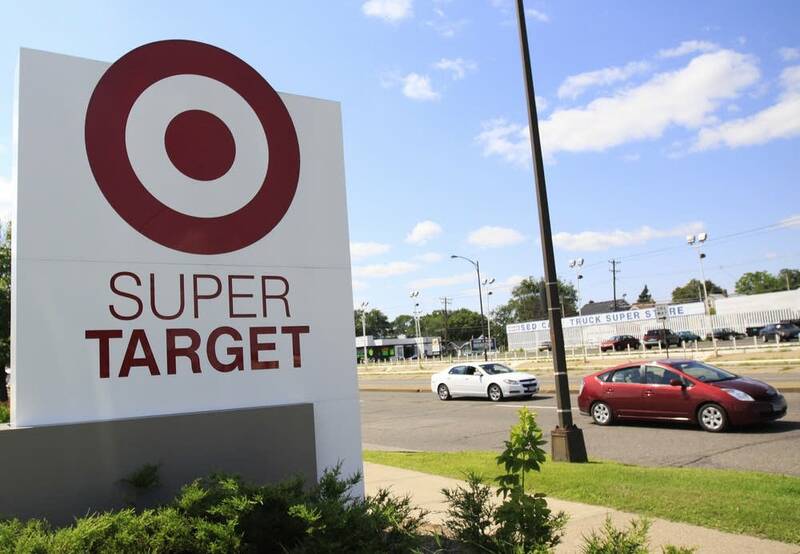 Target has been committed to deploying smart card technology. "This product provides our guests with the best protection against fraud," said Target spokeswoman Molly Snyder. "This is the product that we've long stood for. And we're at the point where we're moving forward with it." Target is installing new card readers in all of its stores. They will accommodate both smart cards and traditional cards with magnetic stripes. Robertson says card issuers figure they'll have an edge if they're among the first to get chip-and-PIN cards in the hands of customers. They expect consumers are more likely to remember the PIN for the first smart card they get and use that card more often. "If you were only able to remember one PIN, then effectively you would be dropping off from your normal usage 3 or 4 other cards and consolidating your spending," Robertson said. "The issuers want to make sure they are number one in your wallet." As Target introduces smart cards, the retailer's Visa credit cards will be replaced with MasterCard plastic. MasterCard is behind the new Target chip-and-PIN cards. Robertson says there's a cultural difference between Visa and MasterCard when it comes to the use of PINs for credit card transactions. "MasterCard has always championed that. Visa has not," he said. "Visa has said it's up to the issuers to make that decision." In most markets around the world, in-store purchases with smart cards require just signatures not PINs, Robertson said. "Both models are used around the world," he said. "So, we're not behind if we only use chip and signature." He said some merchants will prefer to forego PINs, just as they skip signatures on small transactions. "You don't want to use a PIN at McDonald's, because you don't want anything that's going to slow down the check-out lane in a fast-food restaurant," Robertson said. "On the other hand, you might use a PIN at merchants really trying to be careful and who don't have to worry about fast throughput in their lanes." Meanwhile, Target also announced it has hired Bob DeRodes to serve as chief information officer. The company says DeRodes has been a senior information technology advisor for the U.S. Department of Homeland Security, the U.S. Secretary of Defense, and the U.S. Department of Justice. He replaces Beth Jacob who resigned in March following Target's data breach during the holiday shopping season.